Say hello to nearly two dozen horses at CW Feed Store at corner of Hwy 4 and Hwy 550, rescued from neglect and abandonment, along with taxidermy collection of exotic animals including hyenas, wild boar, elephants and more. Walatowa VC and sampling of pueblo foods. Schedule Red Rocks Canyon guided tour for next day. Take a left to Hwy 485 to see Gilman Tunnels for photo op. Return to Hwy 4 onto Jemez Springs. Stop into one of Jemez Springs tasty restaurants for lunch. 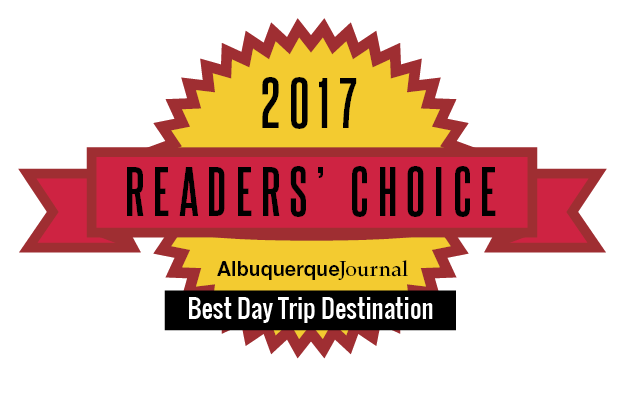 Check out Jemez Historic Site. 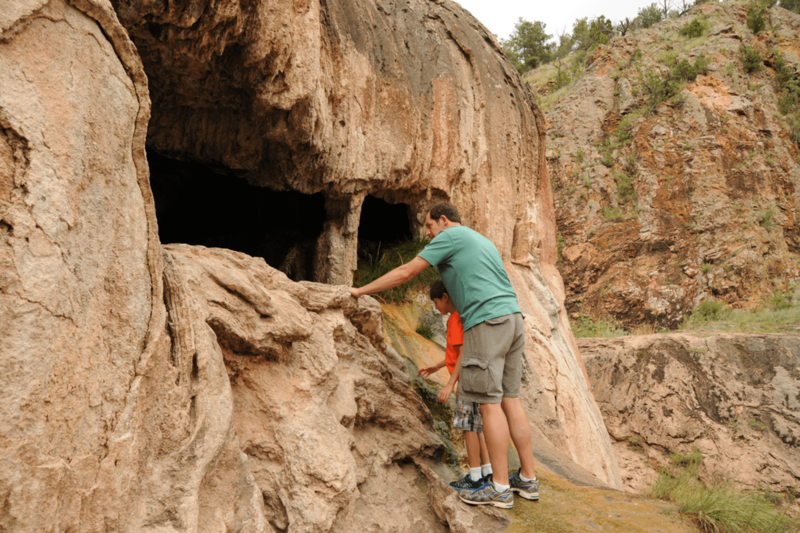 Watch the gushing waterfall and hike along Soda Dam less than a mile north of Jemez. Check out unusual gifts to bring home from Weekends. Early morning hike at Valles Caldera National Preserve for fly fishing clinic (summer only) OR drive to Fenton Lake State Park and nearby Seven Springs Hatchery for early morning fishing. Jemez Springs Public Library – check out Tony Hillerman collection and children’s books along with looking at Jemez Valley history as part of the ongoing Jemez Valley History Project. (OPTIONAL) Drive to Aspen Ridge Alpacas on way back to Jemez, check out alpaca farm and bring home alpaca gloves or items.